How to Get Bathroom Tile Right the First Time | renoWOW! While it is always recommended to consult with a professional contractor for home remodelling, some people prefer to be more hands-on. If you decide to tackle a retiling project on your own, follow our tips to help you end up with a stylish and successful finished product. Scale of the Tiles – Placing larger tiles on the wall of your bathroom can help to give the appearance of a larger room. Bigger tiles are also currently popular for bathroom floors Just be careful about oversized tiles as the room size may mean you will need to make large offcuts resulting in excessive waste, expense. 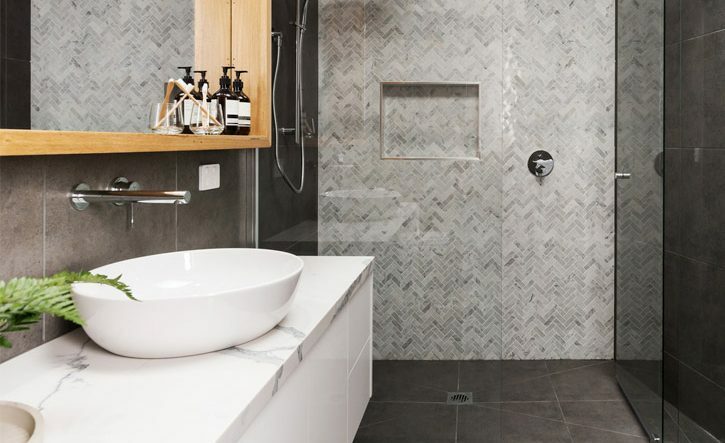 While not ideal for a tiled shower floor, using the same tile in smaller sizes helps to bring the colour through the room while creating a more slip-resistant base in the shower. When selecting grout for the tile, avoid white as it tends to show dirt, and dark grout can become discoloured over time. A colour such as light grey or beige will stand out less and look better overall. Maintenance Requirements and Placement – Select tiles that will meet the needs of the areas they are placed in. For example, porcelain and ceramic tile require very little maintenance in terms of cleaning and hold up well in wet areas, so they are great for tubs and showers. Stone tiles are porous and can potentially hold on to more dirt, making them less ideal for wet areas. Glass tiles are lovely to look at but can be very slippery, so they are better for walls and accent areas as opposed to floor tiles. Colour Scheme – Select a colour scheme when you’re planning your bathroom. Too many contrasting colours can affect how your finished room looks overall, so try and stay within one colour family. Neutral tones often look very nice in bathrooms, so greys or browns are often preferred by many people. Focal Point – Decide what you want to be the main feature in your bathroom. This could be a brightly coloured accent tile, or an interesting pattern. Stay with one focal point so that it doesn’t have to compete with the other elements of the room. You could use an accent around the center of your room, add a fun colour inside your shower, or choose an interesting shape for your floor for example. Take Time to Plan – Always ensure that you take the time to plan out where the tile is going to go. This is particularly true for patterned tile but applies just the same for plain tile as well. It will need to be cut to fit around vents, tubs, sinks, vanities, toilets, outlets, and any other fixtures you may have on your floor and walls. You will also need to make sure that the cuts are clean, and the finished tile is put down straight. 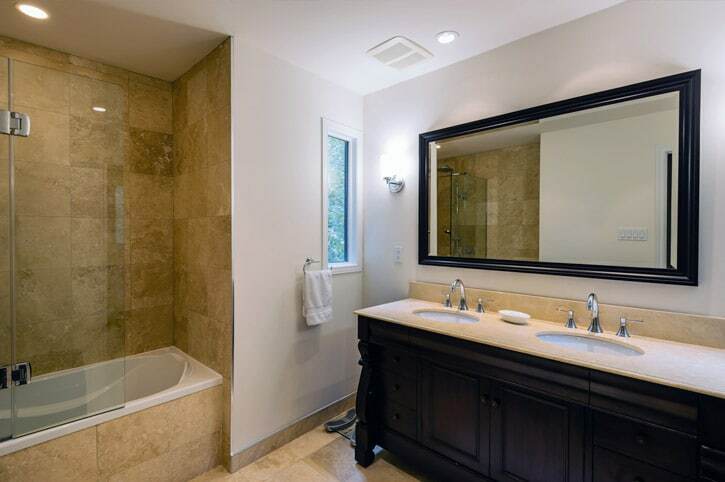 Have Your Bathroom Expertly Renovated With renoWOW! When it comes time to have your bathroom redone, a skilled team of professionals can be trusted to have your custom renovation project done on time and the right way. Call renoWOW! at 416-937-0969 or contact us for information about our home renovation services or to request a free in home consultation /estimate for your next home renovation project.